Laoban, a 27-1 long shot, wins his first race on July 30 at Saratoga Race Course, which was the Jim Dandy Stakes. 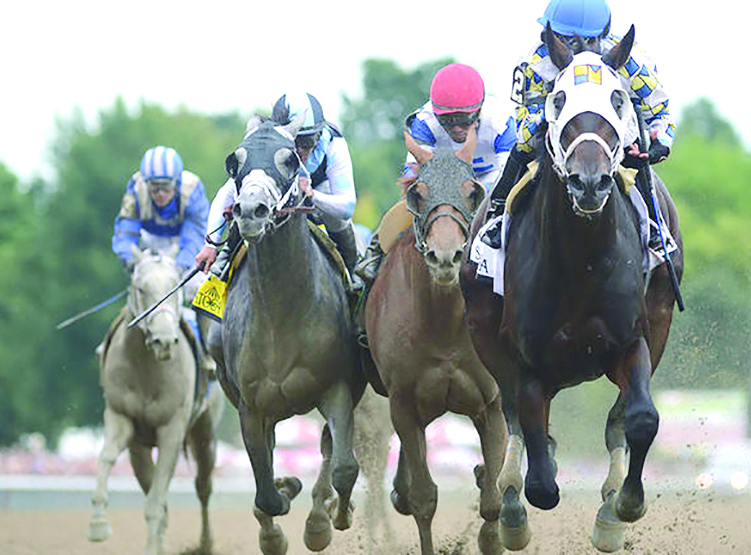 NYRA said opening day this season saw an all-sources handle of $17.8 million. It was one of few mentions of the situation regarding NYRA, which controls the three major thoroughbred horse racing tracks in the state–Saratoga Race Course, Belmont Park and Aqueduct. The board was to revert to private, nonprofit status in 2015 and again this year. But Gov. Andrew Cuomo has not liked the proposed bills and has proposed capping the amount of money that would go to track operations. That spawned the creation of Concerned Citizens for Saratoga Racing which is lobbying, with the support of the Chamber, to push re-privatization while ensuring steady funding. A new agreement extended state control until October 2017. Jones remarks were made prior to the keynote address by Chris Kay, CEO of NYRA, who spoke mainly about improvements made for the 2016 season, which is in progress, having begun on July 22. 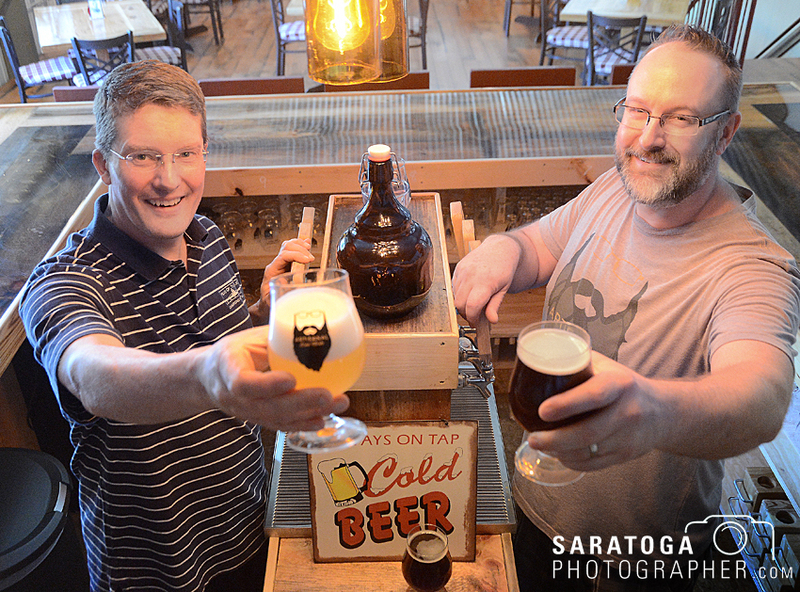 Kurt Borchardt, left, and Colin Quinn put their love of beer and brewing into the formation of their new business Artisanal Brew Works on Geyser Road in Saratoga Springs. For Kurt Borchardt and Colin Quinn, brewing beer is both an art and a science. The owners of Artisanal Brew Works at 41 Geyser Road in Saratoga Springs opened their craft beer brewery the third week in July. Borchardt and Quinn have a lot in common besides beer. Both men teach at Saratoga Springs High School. Both have been involved in homemade brewing for years. And both share an “incredible attention to detail,” according to Borchardt. Borchardt worked for 13 years as a chemical engineer specializing in automation and controls. He always knew he would leave the corporate world and embark upon a teaching career. When he got married and began to raise a family, he decided it was a good time to make the transition to education. He currently teaches digital electronics, biotechnology, principles of engineering and woodshop. These docks on Saratoga Lake are part of 550 Marina and Board on the Lake Local property. 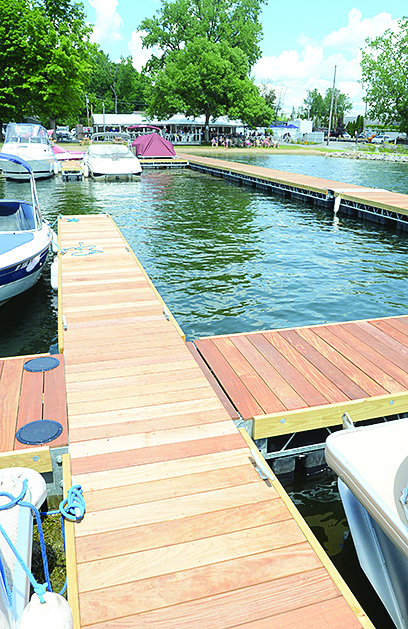 Lake Local, the restaurant located on Saratoga Lake just off Union Avenue, has spawned a marina and dock rental business on the property that expanded its space and rental offerings this year. Lake Local, the bar/restaurant located at 550 Union Ave., Saratoga Springs, is known for its pub fare, catch-of-the-day and farm-to-table locally grown veggies. This summer, the boat business expanded on the property, growing from last year’s 40 dock spaces to 110. 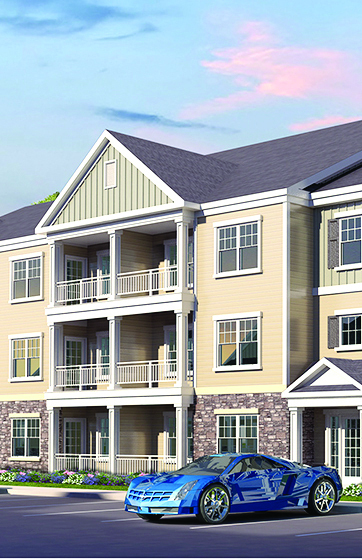 This is a rendering of apartments Conifer Realty plans to build on Route 67. A 17-acre plot on Route 67 next to East Line Road will soon provide 163 apartments for people working in and around Ballston Spa, according to the developer, Conifer Realty of Rochester, which closed on the purchase of the property on July 1. The land was purchased from Hal Schultz, a real estate developer who had been working to develop and market the property since 2007. Brian Donato, project manager at Conifer, said his company paid approximately $2.5 million for the land that will become Blue Heron Trail, a four-phase residential development that may also include about 10,000 square feet of commercial lease space in the final phase. That’s approximately $150,000 per acre and on the low side of market value, Donato said. Molly Reed is the owner of rōv & reeds boutique at 24 Caroline St. that sells a range of imported goods like soft furnishings, rugs, hand-crafted Moroccan leather goods, pillows, textiles and art. A new boutique, rōv & reeds, has opened at 24 Caroline St. in Saratoga Springs, selling a range of imported soft furnishings, rugs, hand-crafted Moroccan leather goods, pillows, textiles and art, along with other items from Southeast Asia and Morocco. 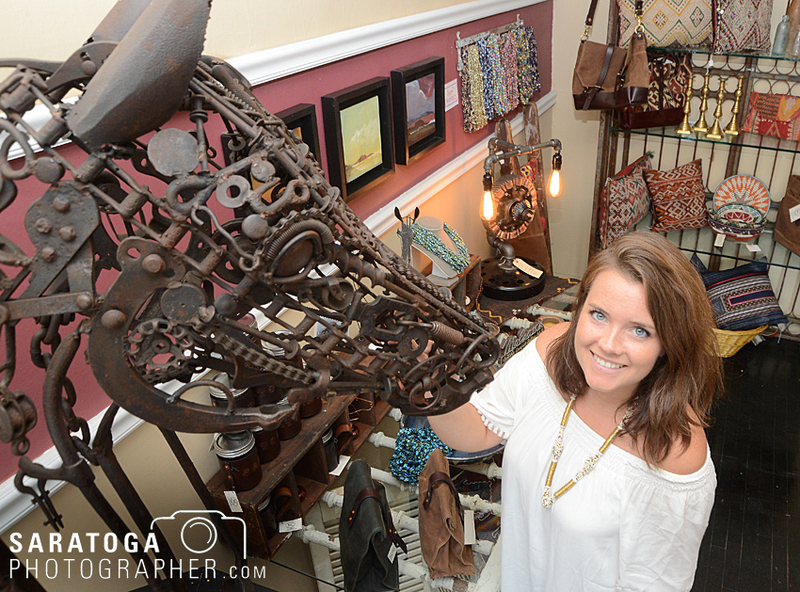 The shop also offers hand-crafted furniture, sculptures, wall art and handmade jewelry by local artists such as Jenny Horstman, who creates horse sculptures using scrap iron, and Peter Reed, owner of Rusticworks canvas and leather designs. Owner Molly Reed partnered with her father, Tim Reed, who is also the owner of reeds on Exchange Street in Glens Falls. Molly and her father decided to team up in her endeavor after she returned from a four-month shopping trip across Southeast Asia and Morocco. During her travels, she purchased rugs, pillows, silks and textiles from artists in Thailand, Myamar, Vietnam, Laos, Malaysia, Nepal and Morocco, with a plan to sell them on her online boutique, rovimports.com. Roohan Realty announced that Emmy award-winning cinematographer and director Derek Hallquist has joined the company. He will be handling professional real estate photography, including drone piloting, video production, editing, signage and graphic design. He will provide images of locations and properties. Cole’s Woodwind Shop has temporarily relocated to 6 Butler Place while renovations take place at the historic 47 Phila Street address that also houses Caffè Lena. Cole’s Woodwind Shop has temporarily relocated to 6 Butler Place (behind 3 Franklin Square), while renovations take place at the historic 47 Phila Street address that also houses Caffè Lena. Saratoga’s Bonacio Construction is doing a major renovation at the 55-year-old Caffè Lena. The company will also construct a mixed-use building on the corner of Phila and Henry streets. The project will feature an elevator and stairwell shared with the Caffè and the eight apartments that will be on the upper floors of the mixed-use structure. 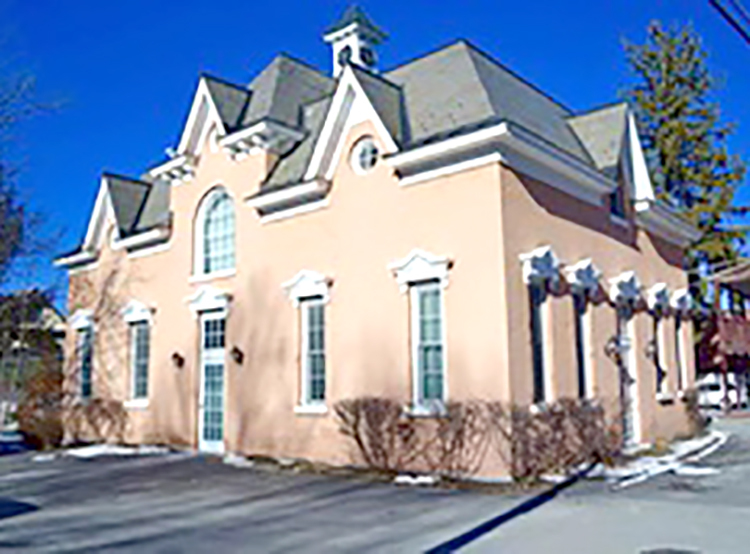 Cole’s shop, in operation in Saratoga Springs since 1977, will also benefit from the extensive renovation. Cole said he is grateful for the support of the Caffè and Bonacio Construction Inc., which is handling the construction work. Orthopedic & Spine Physical Therapy PC has been in business for 20 years. 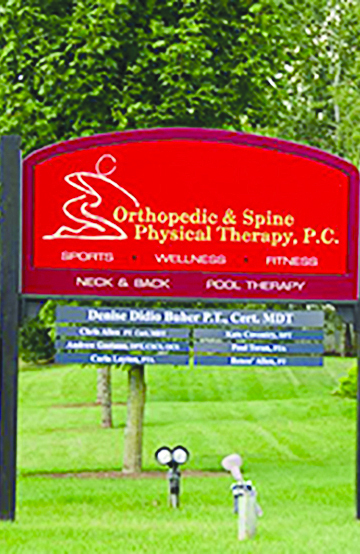 Orthopedic & Spine Physical Therapy PC is celebrating its 20th year in business. Owner Denise Buher opened the business in 1996, after working for several years as a senior therapist on the staff of Glens Falls Hospital. Buher is a certified therapist in mechanical diagnosis and therapy of the spine from the McKenzie Institute. She is also a certified strength and conditioning specialist. Starting out as a solo practitioner, she hired a physical therapy assistant the following year, and he is still part of the practice today. Gradually, she added more employees and now, 20 years later, she manages a staff of 15 people, including four full-time and two part-time physical therapists, one full-time and two part-time PT assistants, with six administrative and support staff. John Chiaramonte, a founder of the public accounting firm Teal, Becker & Chiaramonte CPAs, PC, now serves as chairman of the firm, which celebrates its 45th anniversary. Teal, Becker & Chiaramonte CPAs, PC marked its 45th anniversary in July. 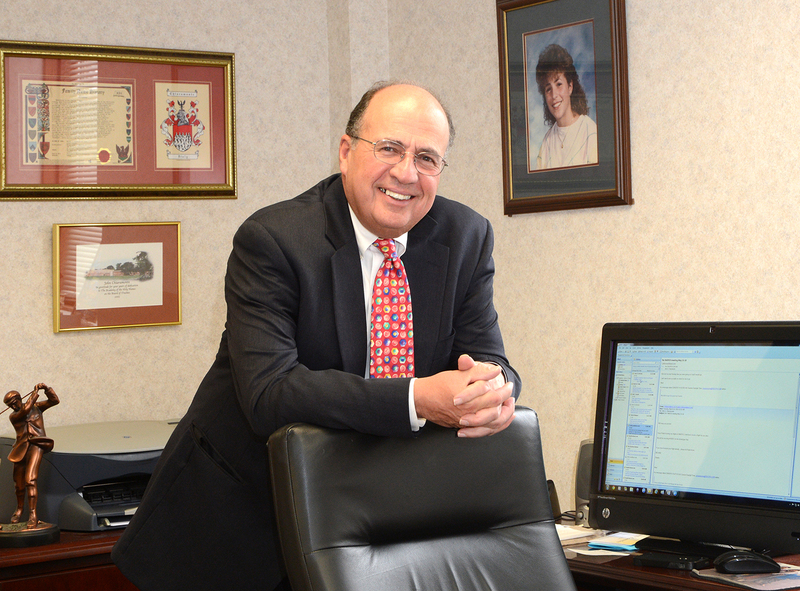 John Chiaramonte, a founder of the public accounting firm, now serves as chairman of the firm. He recently shared his reflections on doing business throughout the region, including Saratoga County, for 45 years. The namesakes of the firm, Ron Teal, Larry Becker, and John Chiaramonte, founded TBC in 1971. Ron Teal, who last worked at TBC during tax season in 2015, congratulated TBC on its 45th anniversary. Sitwell Enterprises LLC plans to build a series of office and retail buildings at 2443 Route 9 in Malta. Company officials said the project will consist of three one-story buildings. The first will be an office building of 15,300 square feet. The other two will house retail businesses. One will be 14,186 square feet and the other 13,830 square feet. The company hopes to break ground within the next two months, according to the project’s engineer Scott Lansing of Lansing Engineering in Malta.